In collaboration with iCRAG, the Irish Centre for Research in Applied Geosciences, Ireland’s national geoscience research centre, the Laurentian University SEG Student Chapter has designed a field trip to visit the Irish carbonate-hosted Zn-Pb deposits. The trip will be led by Dr. Murray Hitzman, Director and CEO of iCRAG, and aims to give students an in-depth look at one of the world's great orefields. Participants will visit or see drill core from virtually every important deposit and will be lucky enough to hear about the geology of many of the deposits from the experts who described the deposits in papers. A day of core logging has been built into the program so students can really get a look at the rocks and describe them themselves. Much of the trip will involve examination of drill core - this is how most of the exploration (and much of the mine geology) work is done in the country. Students will also get to see outcrops of the host rocks inland and along the coast. The trip will focus on the Irish Midlands but will also touch the West Atlantic coast and skim the northern edge of the Southern mountains. 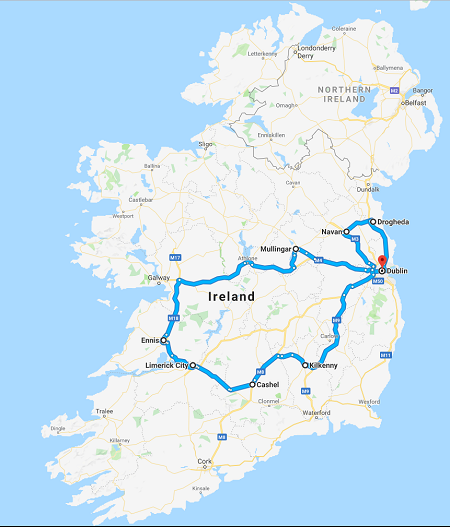 Time has also been allocated for sightseeing in Dublin and we hope to have time to visit several historic sites including the spectacular Giant’s Causeway volcanic fissure. This trip has been made possible through generous donations from Goodman School of Mines, Lundin Mining, First Quantum Minerals, High Power Exploration, the Prospectors and Developers Association of Canada, Wallbridge Mining, the Harquail School of Earth Sciences, the Society of Economic Geologists, Technica Group, Condor Consulting, and collaborators at iCRAG.